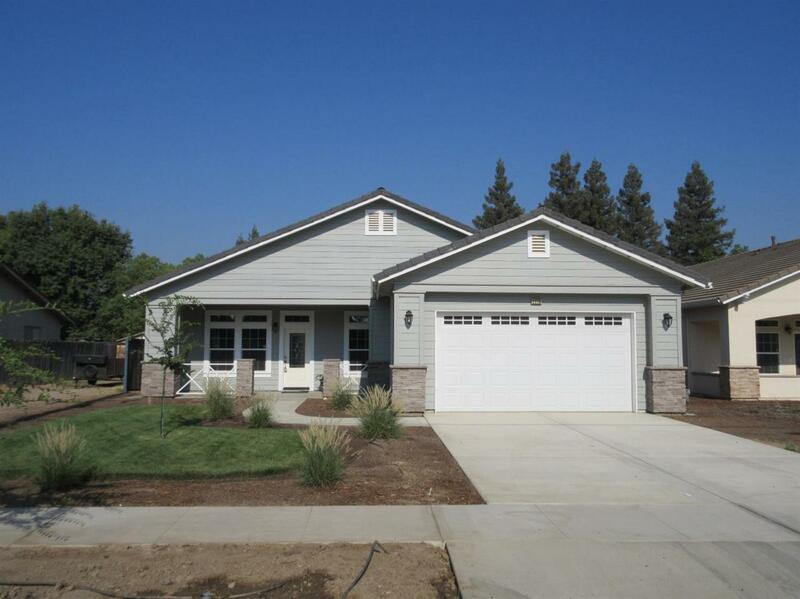 3 bedroom, 2 bath home in N/E Tulare. A cute front patio greets you as you enter this 2,024 sqft. home. The living room is bright and inviting with a gas fireplace. Laminate wood flooring and porcelain tile throughout and ceiling fans throughout. The kitchen features a large island, Kitchen Aid appliances, granite counter tops and plenty of space for a large dining table and family gatherings. A linen closet in the hallway with an ample amount of storage. The master suite features a great size walk-in closet, backyard access from the sliding glass doors, separate tub and shower beautifully tiled, and granite counter tops with his & her sinks. Additionally, the other two bedrooms are spacious and down the hall is a nice size laundry room with lots of cabinet space and granite counter tops. Big backyard with a concrete slab for a patio option. Come take a look!